Tom joined Heeter as VP of Sales and Marketing in July, 2015. 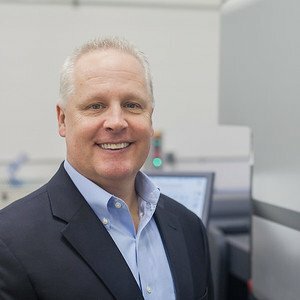 Previous to Heeter, Tom was SVP of Strategic Sales at Consolidated Graphics, Houston, TX (CGX was acquired by RR Donnelley in 2014). His team drove strategic sales initiatives across the global organization supporting 70 operating companies and a sales force of 700+ local sales representatives. He was also VP of Sales and Marketing for 11 years at Automated Graphic Systems, Inc. (White Plains, MD). Tom is a graduate of Lebanon Valley College where he played football and lacrosse and majored in Psychology. Tom and his wife Gina live in Pittsburgh.